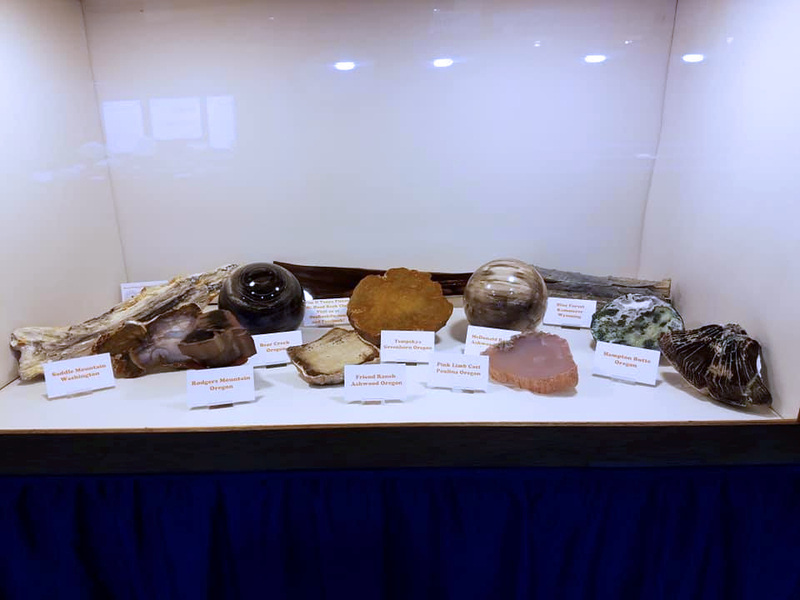 Rock, Gem and Mineral Display Stands for Sale all new and low prices! These are great, quality stands for displaying your booty :) I am not looking to rip anyone off so they are priced well below what you can find elsewhere. I use every single one of these stands in my displays so I know they all do the job and are all high quality stands. 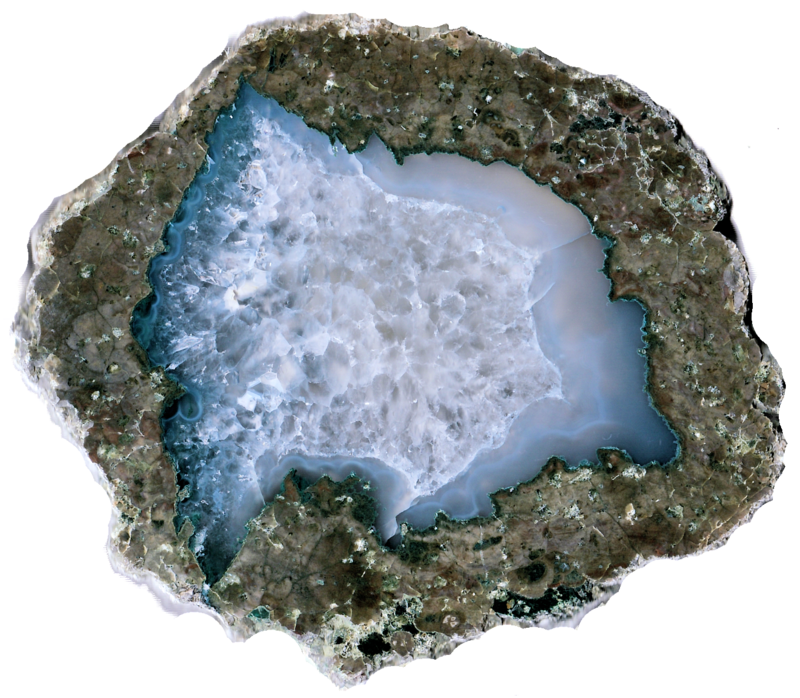 All stands will be sent free of charge along with your purchase of polished thundereggs, agates, cabochons, or slabs. If you are buying them separately they will ship USPS first class which is usually much cheaper than priority mail rates, unless you specify the shipping method. Click on the cart next to the price to purchase stands via Paypal. If I don't have a style in stock I'll notify you and acquire them for you. 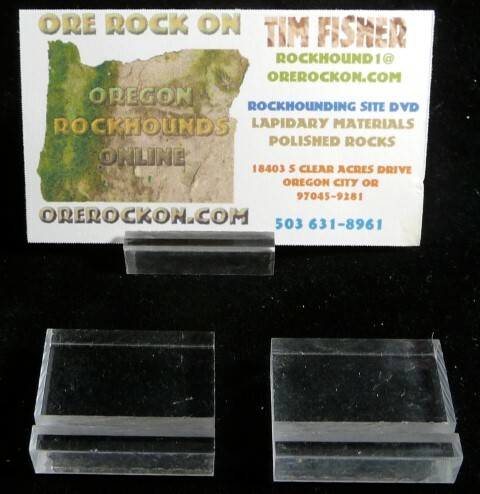 If you are looking for a stand (especially the lucite stands) I can order them in bulk and save you a lot over retail. If you send a photo I can try to find them for you. Stand 01 Cobra head wood tripod stand Large (8"; middle) - perfect for BIG thundereggs and spheres over 6" wide. I can get a 10" thunderegg on these. Also great for fossil and mineral specimens. These are insanely expensive everywhere else. Stand 02 Cobra head wood tripod stand Medium (6"; left) - perfect for medium size thundereggs and spheres about 4-6". Also great for fossil and mineral specimens. These are insanely expensive everywhere else. 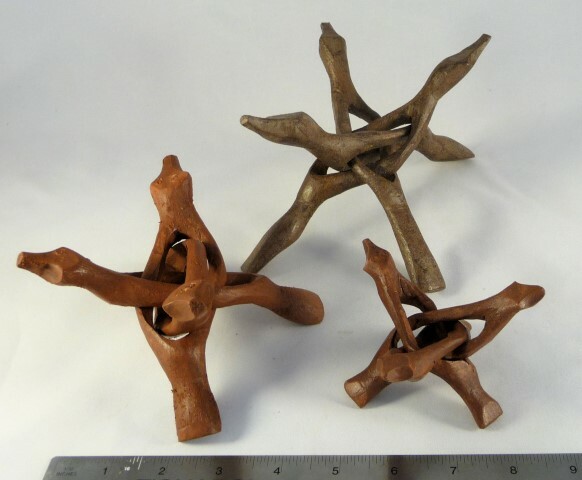 Stand 03 Cobra head wood tripod stand Small (4"; right) - perfect for smaller thundereggs and spheres about 2-4". Also great for fossil and mineral specimens. These are insanely expensive everywhere else. Stand 04 Tulip acrylic stand small 1 3/8" high x 1 3/4" diameter. Great for marble spheres and perfect for rock eggs. 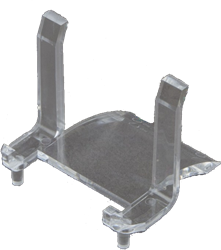 Stand 05 Two part easel acrylic stand Small 2'' high x 1 1/2'' wide x 2 5/8'' deep. These are very versatile - slide the upright to accomodate your piece. I use them to display slabs, cabochons, irregular pieces, and anything I want to lean back at an angle. Stand 06 Two part easel acrylic stand Large 3 1/8'' high x 2 1/4'' wide x 3 1/2'' deep. These are very versatile - slide the upright to accomodate your piece. I use them to display slabs, cabochons, irregular pieces, and anything I want to lean back at an angle. 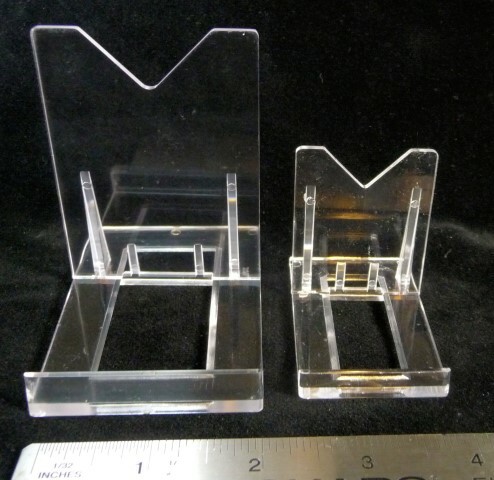 Stand 08 Miniature easel acrylic stand Small (right) 1 1/2'' high x 1 1/4'' wide x 1 1/2'' deep. THE stand for displaying cabochons, also good for small slabs. I use these every time I display my cabochons. If the cabs are pretty tall they might not balance on the stand, so a good trick is to adhere the back of the cab to the top of the stand with adhesive putty, aka Museum or Quakehold putty. 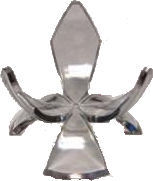 Stand 09 Miniature easel acrylic stand medium (middle) 2 1/8'' high x 1 3/4'' wide x 2'' deep. THE stand for displaying cabochons, also good for small slabs. I use these every time I display my big freeform cabochons. 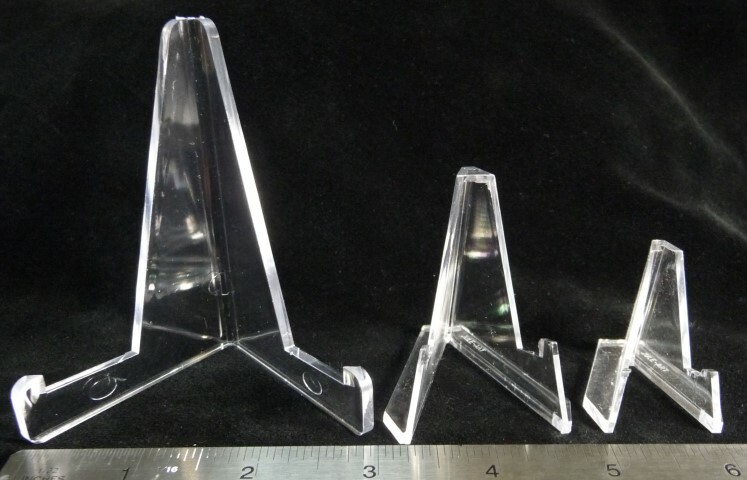 Stand 10 Miniature easel acrylic stand large (left) 3 1/2'' high x 2'' deep x 3 1/8'' wide. Good for medium sized slabs. I've used these to display slabs up to about 6" wide. Stand 11 Ring stand 3/4'' high x 1 1/4'' diameter. Use these for small spheres and small thundereggs. I use them for anything round under about 2" but they do work for much larger spheres. Just don't go too big or if you knock them around they may fall out. Stand 12 Ring stand 1/2'' high x 1 5/8'' diameter. Use these for small spheres and small thundereggs. I use them for anything round under about 2" but they do work for much larger spheres. Just don't go too big or if you knock them around they may fall out. These have been discontinued so when they're gone they're gone for good. Stand 13 Ring stand 1'' high x 1 5/8'' diameter. Use these for small spheres and small thundereggs. I use them for anything round under about 2" but they do work for much larger spheres. Just don't go too big or if you knock them around they may fall out. Card stands 1 1/4" x 1" x 3/4" high. These are hard to find and I lucked into a batch of them. They are for standard business cards but they can be used for any stiff card stock paper up to letter size if you use a couple of them. Similar but not as good for display business card holders are way overpriced. This is how I use them in my display cases, it gives them a very "professional" look.